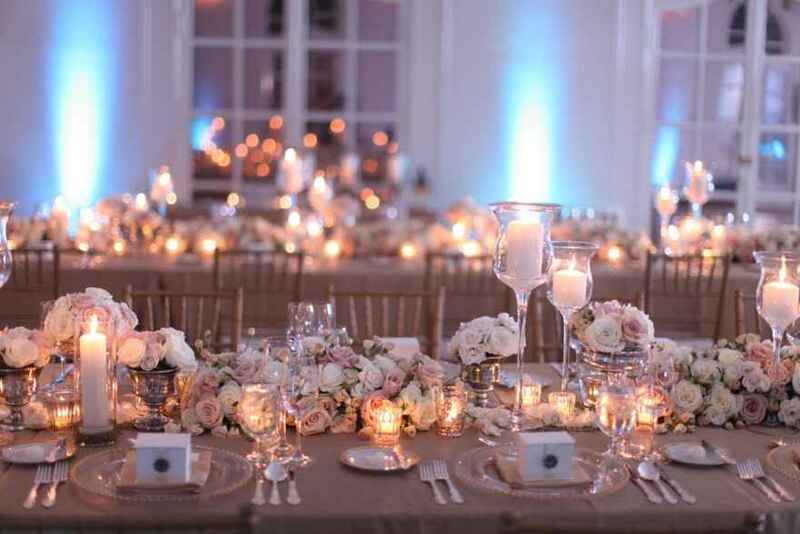 Choosing centerpieces can be a daunting task, especially if you haven’t done it before. If you’re like many of us who reluctantly select the flowers, colors and height of the arrangement, the last thing you’ll want to do is math. Thankfully there are plenty of online guides with general measurements to walk you through the process. The general rule-of-thumb for round tables is to allow 15″ to 20″ of table space per person. This space is measured going from the edge of the table inward. For rectangular tables, allow between 2 to 2 1/2″ feet per person. For a better explanation you can consult this Table Guide.